This is a 2-part series to explain the complex world of Option Writing. You will hear a lot more as we branch out and create educational content on this subject. So stay tuned. The two parts are contradictory. That, in effect, is the way of a stoic. In the first part, we outline our concept of earning income from options through option-writing premium. In the second, we will explain how people blow up their entire net-worth writing options (Still with us?). The closest analogy to what I do with my options trades, is running an Insurance business. I buy options too, but that is very rare. When I have some confidence on the estimated earnings. I like it when there is panic on the street. Volatility hits the roof and premiums on options explode. This can happen on either side of the market depending on which force of human nature is at play. If FEAR is ON, you will see higher premium in PUTS and if GREED is ON, you will see higher premium in calls. I sell those inflated Calls and Puts by creating Vertical spreads, Ratio Spreads (rarely), Covered calls, Iron Condors and Collars. 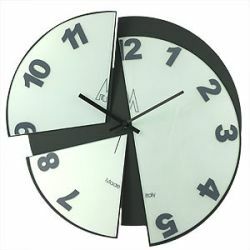 If you are getting confused with the jargon, don’t worry, we will explain and devour each and every topic in detail. Second and the most important point where we disagree with conventional option selling wisdom is trades with unlimited liability. This is something that we will cover in Part 2. Part 2 – Don’t be Naked, EVER !!! In part 1, you read that we treat Options as a depreciating asset. Prices stay within 1 Standard deviation 68.2% of the time, within 2 Standard Deviations 95.4% of the time and within 3 standard deviations 99.7% of the time. 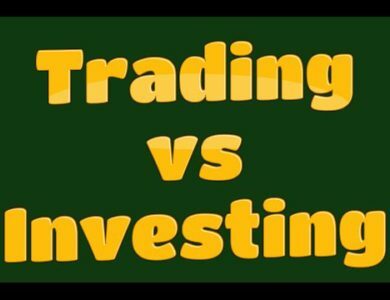 Keeping the above statistics in mind, does it make sense to have un-hedged unlimited risk strategies of selling naked options or any strategy like straddles and strangles with unlimited downside? This simple line is very hard to register. Option sellers write code after code, extract nth amount of data and back-test their code to draw their conclusions. They figure out ideal dates to expiry (dte), ideal volatility when to short, ideal time to square off the position based on past information. The problem is not with the process of back-testing. Their process is very robust. Problem is the source where they are applying the back-test on. The back test is not foolproof. If you ask the wrong question, you cannot get the right answer. The Gaussian distribution curve on which the Black Scholes model is based, works in mediocristan, a term used by Nasim Taleb. It PRESUMES that financial world is governed by normal distribution and a 5 standard deviation away moves are rare and will have mild consequences. But is that a fair assumption? Gaussian distribution based analysis can work wonderfully in a game of POKER where the said variables are finite and interact with each other in a pre-determined way. You exactly know the %age chances of any hand winning and its changing probability based on new card information that keeps coming in. But in the world of Stock markets, or Extremistan, as Nasim Taleb calls it, the fat tail distribution prevails. What that essentially means is that the variables are infinite and their interactions with each other is not known. In technical terms, their sigma is undefined and their variance is not bounded. In layman terms, one thing leads to another which leads to another and a house of cards comes crumbling down. As Paul tudor Jones famously said, In stock markets, once in 1000 year events keep happening every 5 years. So what happens when data naturally arise from a fat-tailed distribution, and you have normal distribution model of risk to gauge an estimate of the corresponding sigma which you have derived based on your backtest done on a finite sample size? You would be like a small boat in front of a 100 feet wave which your back test never predicted, because it cannot. It is not a black swan event if a mundane back test can predict it! 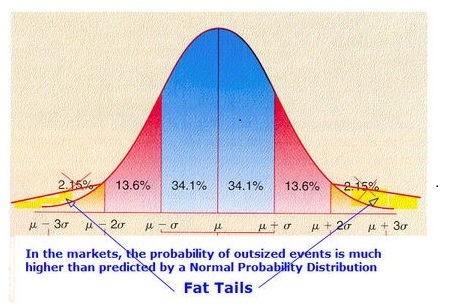 Many—notably Benoit Mandelbrot as well as Nassim Taleb have noted this shortcoming of the normal distribution model and have proposed that fat-tailed distributions govern asset returns. 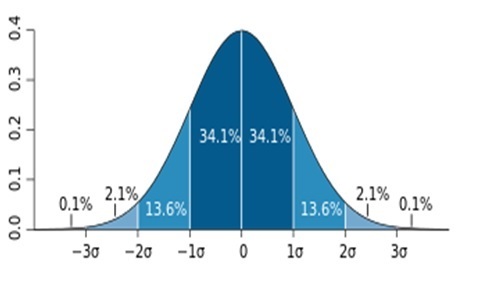 The Black Scholes model of option pricing is based on a normal distribution. If the distribution is actually a fat-tailed one, then the model will under-price options that are far out of money, since a 5- or 7-sigma event is much more likely than the normal distribution would predict. Finding solace in empirical evidence derived out of back-testing done on the Black Scholes model and applying them on real markets, is the functional equivalent of holding a tiger with a leash used for a Pomeranian dog. If you have been writing naked options all along, It is NOT a question of IF, but WHEN you get blown away. Any strategy with unlimited risk + leverage is collecting pennies in front of a steamroller, 1 slip & you are wiped off, the narrative keeps changing. Lets say you have 99.99% chance of being right. And 0.01% chance of being wrong but if you are wrong, your entire corpus gets wiped out. Would you take this bet? Some people use a rebuttal that we will position size properly and everything would be fine. Try and do that, if you position size properly, to account for a black swan, you will earn a lot less than an FD would earn you on your entire portfolio. 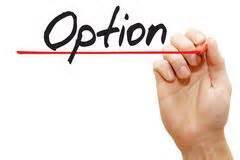 The only time it makes sense to write options NAKED is when you have enough cash to buy the underlying asset. Another mistake option writers do is by calculating risk on per trade basis and not the overall heat of the portfolio. You see, when a black swan comes along, it takes horses, donkeys and mules, all with it. Watch this Video, how Niederhoffer blew it all up. 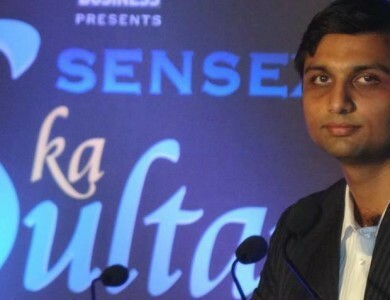 He was averaging 30% cagr for 20 years prior to this. Apparently he stretched his luck too far. The message is clear and straight forward. If you get it, it’s just one simple sentence of common sense, if you don’t, you will grapple with it for the rest of your life. 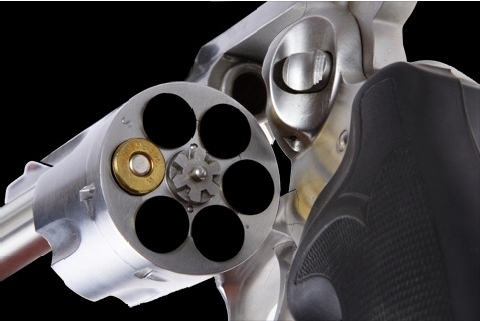 If a gun is loaded on just 1 out of 6 barrels, and you don’t know which one, Would you pull the trigger holding it to your head, if say, I offer you a million dollars? I wouldn’t, it is That simple.